This past week, Town Farm and Miss Rosini’s Kindergarten class joined forces for the second year in row. We had a spectacular day of planting lettuce, radishes, flowers, and perennials. We also discussed some wonderful questions about our plants and what they need to survive. Hello Farm Fans! 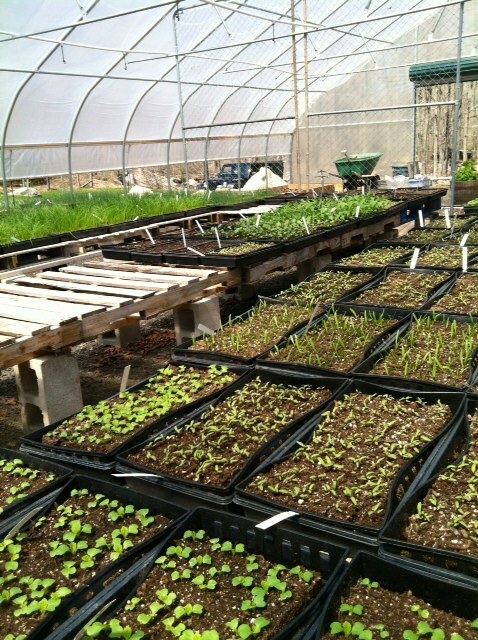 It is mid-April and things are happening quickly at the farm. plants are going in the ground, peas are coming up, and we are hard at work to provide you all with some delicious food this season! We are still accepting memberships to this year’s CSA. Please e-mail us at townfarmorganic@gmail.com for more information and literature on how to become a member and what to expect. This week at Town Farm, we have planted 80 trays of onions, leeks and shallots. 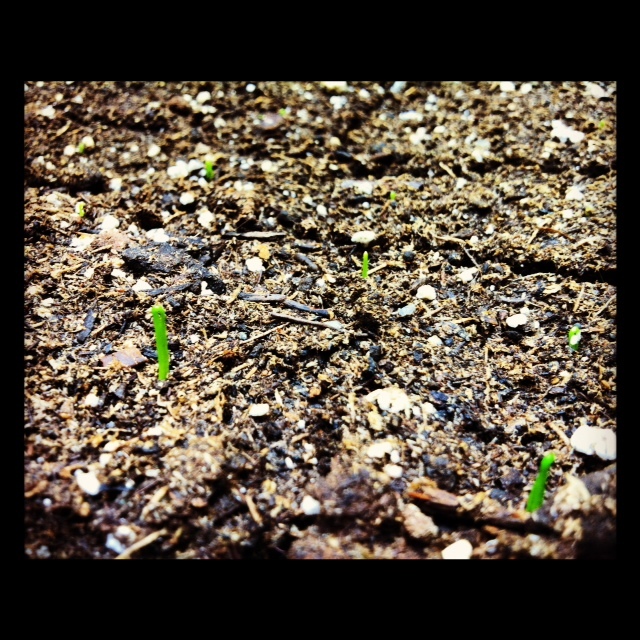 The seeds have already begun sprouting. We have made more room in the greenhouse and added a third raised bed. Next week we will be planting flowers and herbs, and expecting the delivery of our tomato, eggplant and pepper seeds! On March 2nd, Farmer Dylan will be attending the NOFA Winter Farmer’s Conference. This conference will be part of a string of conferences we have attended this year to develop new ideas and practices, and network with fellow organic farmers. 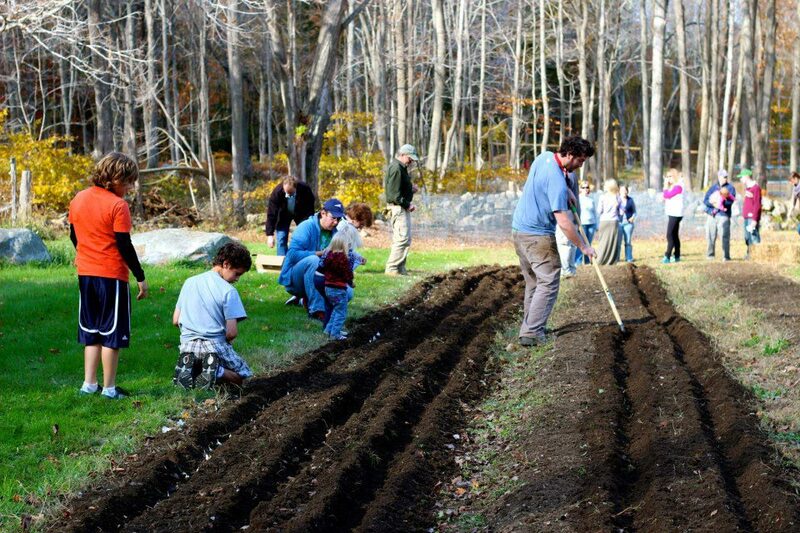 This week, we will be headed to Northampton, Massachusetts for a NOFA Soil and Nutrition Conference held by Dan Kittredge, director of the Bionutrient Food Association. We have attended lectures held by Dan Kittredge during our first years farming and look forward to coming to the conference with a more developed understanding of our own farm, 4 years into the business. Kittredge focuses on soil nutrition being the most important factor in plant health. Poor soil conditions breed weak, diseased plants which are more susceptible to pests. The idea behind bio-intesive soil nutrition, is that if we are providing our plants with the optimal nutrient-rich soil, we are preventing disease, therefore future needs for pest control. Essentially this allows us to grow healthier plants, which means more nutritious food for our communities! Kittredge’s view on the importance of soil nutrition, seems to reflect some contemporary medical theories of nutrition and disease prevention. In a world in which we see direct correlations between our dietary habits and our health, this understanding of the role of nutrition feels almost intuitive as being a solution to health issues. We look forward to the upcoming conference and hope to indulge more detailed lessons when we return! We are very excited to have purchased a brand new tractor for the farm this season. The tractor will help with managing compost, tilling, and moving rocks- which will be helpful with our field expanding this season! The 2012 season ended wonderfully with our second annual Garlic Planting Potluck. We should have our best Garlic crop yet in 2013! At this point, your farmers are in the process of planning start-up for this coming season. We are also implementing some new changes to the CSA. Which will be addressed in the upcoming newsletter, this week. We hope to see you all this Spring!